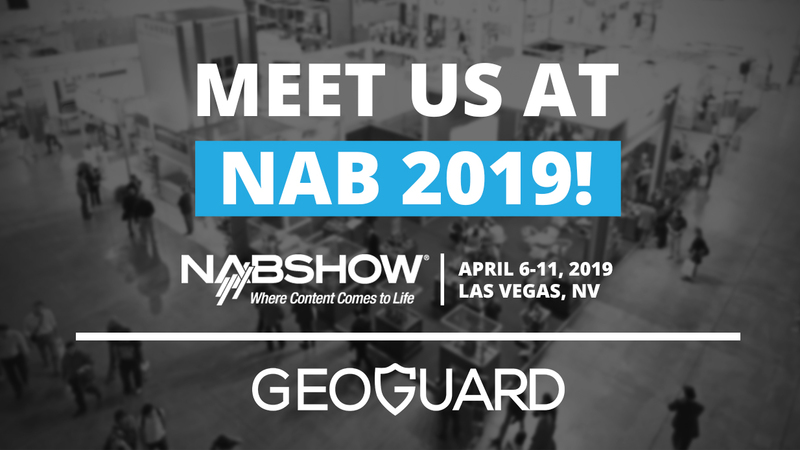 GeoGuard will be at NAB 2019, meeting with film studios, sports rightsholders and OTT broadcasters to discuss the future of IP and HTML5 geolocation. Alistair Campbell will be at the Akamai Booth (SL3324) on April 8th and interviewed for AkamaiTV, talking about GeoGuard’s integration with Akamai, that’s now available as part of their new Enhanced Proxy Detection solution to protect rightsholders from geolocation fraud and geo-piracy. Email solutions@geoguard.com to set up a meeting.